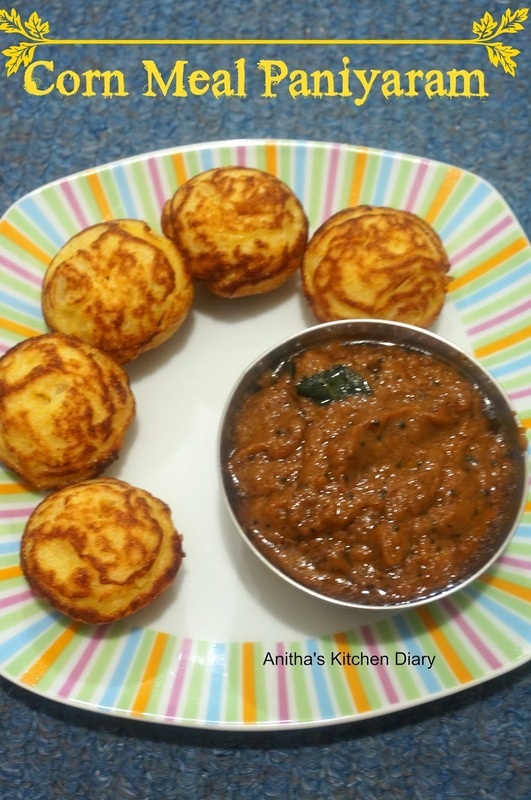 I bookmarked this Chola paniyaram recipe from Sangee's space. But i usually prefer to have a instant paniyaram and dosa ,So i modified the recipe according to me.Its very soft and tasty. In a mixing bowl all above ingredient with some water.The batter should be in pouring consistency. Heat paniyaram pan , drop oil on each hole. Spoon the batter to each hole and cook for 2 minute. Flip the ball and cook other sides. Once done transfer to the plate and serve it along with chutney of your choice.